The James Cummings-trained Home Of The Brave has been scratched from the All Aged Stakes at Randwick, leaving a field of 13 for the Group One weight-for-age race. 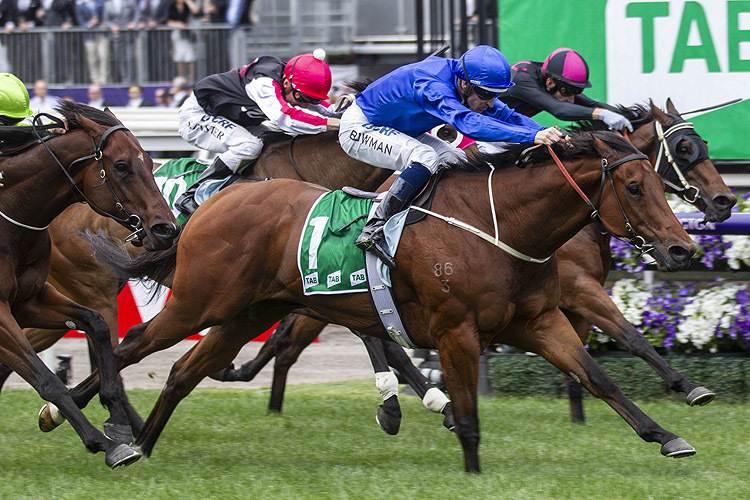 A dual acceptor for Saturday's program, imported sprinter Home Of The Brave is instead set to begin his campaign in the Group Three Hall Mark Stakes over 1200m. The Mark Newnham-trained Lanciato was also an acceptor in both the All Aged (1400m) and Hall Mark but has been scratched from the latter to take his place in the Group One. Home Of The Brave's stablemate Osborne Bulls was the $3.10 favourite for the All Aged on Wednesday afternoon and has the inside barrier draw. Along with Osborne Bulls, the global Godolphin operation also has the Charlie Appleby-trained international visitor D'Bai in the race. D'Bai shares the second line of betting at $5 with the Greg Hickman-trained Pierata. D'Bai and Pierata have drawn barriers nine and 10 respectively but come in one after Home Of The Brave's withdrawal. Loving Gaby is the early favourite for the Champagne and has drawn barrier seven.